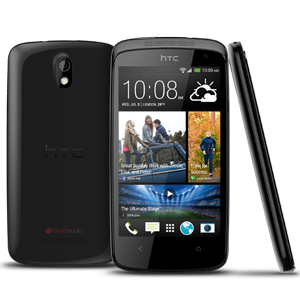 The HTC Desire 500 is a mid-range Android smartphone, released in September 2013. It runs on a 1.2GHZ quad-core Snapdragon 200 processor, 1GB of RAM and 4GB internal storage. The Desire 500 also features an 8MP camera and 1800mAh battery.